Why this in particular instead of the official portable version? What makes the difference on this one? Installer apply RiF Patch: Enterprise, no nag on exit. Launcher force nosave=0 in TeamViewer.ini, backup settings and can pass additional parameters (read post). The so called portable version TeamViewer releases on their site is as far as it gets from real portable, it writes all over the place (It even wrote graffiti in my bathroom :P) and doesn't save credentials. Bernat, you finally fixed it my friend, even if you just get the free version to be really portable its good enough. For free version: uncheck Enterprise in updated installer. Failed to load resource DLL (TeamViewer_Resource.dll)! Check at least one language in installer. Any difference between premium and enterprise version? I keep getting commercial use detected. What's going on? How do I prevent this? It disconnect me after 5 min. Try free version or buy a license. You have a wonderful site ,use in my work for many portable programs made by you ,for what you really appreciate it. 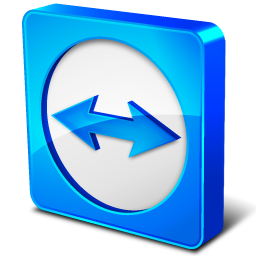 Tell me please, do you plan to make a portable version of TeamViewer Enterprise 9.0.24322 ? Thank you in advance, yours faithfully, Dmitry. Hello Bernat! I'm sorry, I am not attentive sometimes I have.Enterprise works without problems! Good luck to you. Thanks Bernat, portable version works like a "Swiss watch"))). Bernat, could you do me a favor please? I'll have a business license for an old v5 version (I bought it myself) that I'd like to use on different computers. Would you be so kind to post the nsis script that you're using for your portable version? If you want to test your license check Free in first screen of installer and exe will not be patched. Thanks for Portable TeamViewer. I use it. or is Business license? I don't see on that site a word about Server Enterprise license. Only 2 patches applied or not if you choose free. v10 installer link seems to be offline. Thanks, bye. Bernat, would it be possible to create a portable QuickSupport only version that doesn't display it's "nag" window when it is closed? Nothing is in the output folder. And the file is actually not there. There are two files TeamViewer_Desktop.exe and TeamViewer_Service.exe. TeamViewer.exe is missing. Problem is in your computer. The window.close() trick isn't working anymore for the 7.hta file. Как сменить id teamviewer 12? You can't change: id for your computer is set by TeanViewer. Would you be interested in getting access to a NAS, where you can find all portable applications and repacked setups? Thanks for your interest but I have only the time to update this blog. Also, possible/how to specify build/version (wish to have v12 for example)?